Hey guys! Just heard from one of my AWESOME readers in Iceland (Call him "M") and he's informed me of the location on Iceland that Ridley Scott will be shooting portions of PROMETHEUS! It will be their Stony Desert Highlands near Landmannalaugar (Landman Pools). You can check out the gorgeous mountains at Landmannalaugar right here. The second image in this post is of those mountains as well. 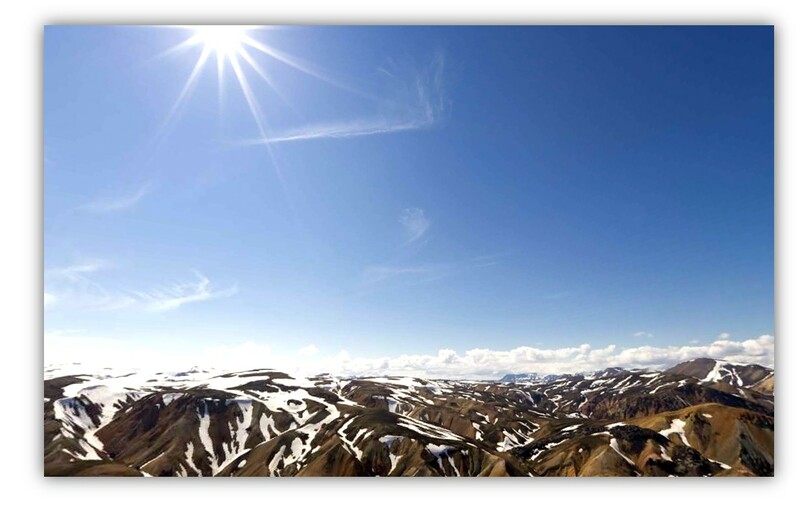 The top photo is actually of Iceland's Doom Valley (in winter) which is also near Landmannalaugar and where security is now stopping tourists from advancing any further to Landman Pools, closer to where they will be shooting. Thanks for the photo M! I can't imagine a more remote and exotic location for shooting sci-fi. I have seen quite a few cool locations too, like Saddle Road on the Big Island of Hawaii. Let me tell you the most eerie feeling washes over you when you are in these locations because it is simply otherworldly. It's very unsettling. Beautiful, but eerie. The roads even at this time of year can be rocky and icy so it will be tricky to get the crew of over 350 and of course the actors to and from the location. Ridley is not yet on the set according to the locals, but soon to arrive. Scott and his team first visited back on April 29 to scout locations on the island via private jet, then helicopter flying to the southern regions. The next day they travelled north to Akureyri (largest city in the north) for further scouting. 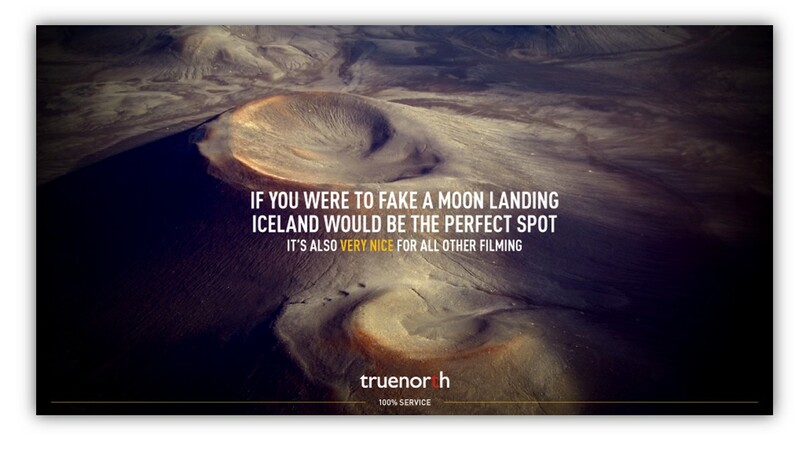 The production will shoot for about 7 days in Iceland. True North Productions and the production manager Sam Breckman have been hard at work bringing this all to fruition. 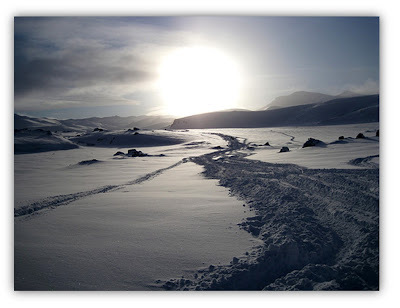 True North has been responsible for some truly awe inspiring locations on Iceland (DIE ANOTHER DAY, JOURNEY 3D, BATMAN BEGINS, FLAGS OF OUR FATHERS, TOMB RAIDER to name a few). PROMETHEUS is in great hands! Yes the last two shots are Iceland!! Looks alien to me. Great spot for PROMETHEUS. The Highlands of Iceland cover most of the interior of Iceland. They are situated above 400–500 metres and are mostly an uninhabitable volcanic desert, because the water precipitating as rain or snow infiltrates so quickly into the ground that it is unavailable for plant growth, which results largely in a surface of grey, black or brown earth, lava and volcanic ashes. A few oasis-like areas, such as Herðubreiðarlindir near Askja, are found only in proximity to rivers. 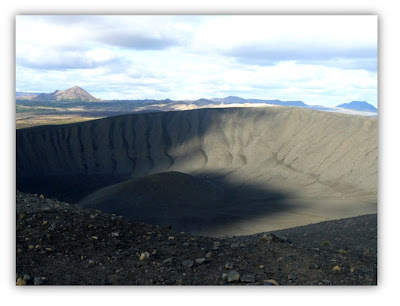 Some of the most interesting parts of Iceland with volcanic activity are to be found in the Highlands, such as Landmannalaugar and the region around Askja and Herðubreið. The Highlands can only be crossed during the Icelandic summer (June to August). For the rest of the year the highland roads are closed. The best known highland roads are Kaldidalur, Kjölur and Sprengisandur. Most highland roads require four wheel drive vehicles, because it is necessary to ford rivers. However, the Kjölur route can easily be traversed in an ordinary sedan and is therefore one of the more popular highland roads. Off-road driving ("road" in this context meaning tracks that are already present) is forbidden entirely in Iceland where there is no snow, including the Highlands, to protect the environment. So can you tell I am on the edge of my seat for PROMETHEUS? Is it obvious? I think many of us are hahaa! Can't wait to see more... I'm on it!